That’s what talkshoe gives. The link to his blog wasn’t available at the time. I’m 1h into it and utterly disappointed with Chris. Not because he points out the existence of an obvious psy-op going on with the flat earth subject, but because he bases his opinion on weak evidence. The main people doing actual research never AFFIRMED that the Azimuthal Equidistant IS the ACTUAL map. In fact there is no certainty of what is the actual map and distances, because the presented Azimuthal Equidistant is actually a globe earth map laid out flat. To base the entire opinion on flights you see on the internet, maps that are mainstream and actually globe earth maps and, the worst of all, because it’s made to make you believe in anything ridiculous outside mainstream? Chris is wanting people to force the flight paths on the map he knows. It is “divide and conquer” because they have their own guys doing Flat Earth disinfo, of course they do. I expected more of Chris, as I got used to listen to him over all this time. And no I don’t believe Chris is open to changing his mind, as he says, because he has just now determined and judged: “It’s ridiculous”. On the other hand, let’s take a look at globe earthers’ postulations, to account for it. So to prove a globe earth + motion + planets and stars point, expansion of the universe, rotation around the sun, etc. are negligible? And what’s the simplest explanation, with no strain to explain the fixed stars seem to be rotating with that same angular speed around Polaris (for the northern hemisphere)? Just an example I saw the other day. Who’s trying so hard to fit what into their model? very true remark on the evidence presented by Chris, the flight route and maps are weak arguments. just as an exemple, if they are hiding the true shape of the earth, fooling us regarding flight routes do not seem to be more difficult than convincing us planes hit the towers. we also have many signs of manipulation of our maps and model of earth generally, as there are so many different maps existing. all the images produced from space depicting the earth all show major discrepancies between them. we already have the equipment, we just need a few honest men using it. You are right in your point: although speculative investigation is the actual scientific method (as in make a speculation and then look for evidence for and against it, followed by empirical ways to test them), it is working somewhat against a new person freshly arrived to the subject. It is doing so because, of course, people who have already realized in the very simplest of ways that the shape can only be “flatish” (the postulated “flat” is as rigidly so as their “oblate spheroid globe, actually shaped like a pear but then pictured as a perfect sphere in NASA photos! ?”), are keen to put forward speculative postulations, hypothesis, to try to add to the community’s ongoing discussion. These speculation and attempts at presenting proof are actually more scientific than any expert Doctor or Professor will be able to present in a lifetime career nowadays, but they are speculative at their early stage and therefore prone to scaring away any curious mind still on the fence about it. I therefore agree that the easiest way to approach the subject is through the simplest way to test it: our senses. Our senses, if we are honest about them, have no intermediary but those within ourselves. Only after the “click”, the realization, should a person proceed to other realms of speculation about the flat earth. Chris may have just approached the matter from the wrong angle and therefore felt repelled by it at a first impression. Only if and when he, by himself, goes to a place where he can check the horizon and observe, may he realize and see what he’ll never be able to un-see. It’s sort of those drawing which have more than one way of being seen, right (like the one below)? You can spend your entire life looking at it the same way and see only one possible picture. Then, one day, you see another, that had always been there, and you will never again miss it. Chris is just giving his opinion based on what he has been able to gather, he’s obviously looked into it. Don’t take it personally. I honestly don’t know why it’s such an important topic. I can’t figure it out and will never know for sure until I get some legitimate video from space or a trek across Antarctica, therefore, I will never know. I already believed in a creator, no matter the shape and mechanisms of the design, so maybe that’s why I don’t really care, or at least don’t have the fight in me to try to explore every nook and cranny of confusion. NASA is a fraud, the earth from space DNE, and we’ll live to argue another day. I’m not taking anything personally, Chris doesn’t even know me. What I am is disappointed because I expected more from him. Based on the times and emphasis which he referred to “people who were getting concerned that I would turn this show into a flat earth show”, I get the feeling that he is also, somehow, giving in to peer pressure. I hope he gets it one day, but it has to be himself looking at it. Nobody can provide satisfactory evidence to someone who has already decided it’s ridiculous. There are about 9,000 airports on earth that host about 93,000 daily flights. All 93,000 daily flights work on a globe. Let’s even cut out domestic flights. That leaves a whole lot of international flights that time perfectly to a globe. So 1 or 2 flights are said to not work on a globe, but so far, no proof has been given that those couple of flights don’t work. Sounds like Chris is on the right track. Hi khammad, it’s been a while! It is actually the other way around, you’ve heard it incorrectly. Most flights paths that include stops that make little sense trajectory-wise, actually look perfectly clear and logic over the Azimuthal Equidistant map (which is actually a flat layout projection of a globe Earth map, bear in mind!). What Chris argues is that there are a few flights that, if actually flown as shown over the spherical map, may have its path go over the supposed Antarctica continent slightly – but note that this “spherical map” is not the right map either, remember how the Earth is not an actual sphere, as shown in maps and Nasa photos? Neil said it here. Where is that Oblate-Spheroid Pear-Shaped Earth map, for us to layout the flights and check them out? Chris also argues that when those flight paths are placed over the Azimuthal Equidistant map, they do not work. However, that map is NOT proposed by any serious Flat Earth researcher to be the definitive map of the Flat Earth – nobody knows what the actual map is exactly like, that one is just a representation, because it is the one depicted in the UN flag, that’s all. The real map can only be made when mapping is possible (which it isn’t, for obvious reasons you can certainly understand). There are a few attempts by brave souls at trying to map with what’s available, which is never a precise method. Additionally, it needs to be pointed out that the flights, which are easily covered by paths on a flight computer (yes, commercial airline pilots nowadays don’t actually fly the plane, as in steering it and guiding it), by botched up distances and fuel quantities, by strategic refueling stops and by business-based excuses are only one element among plenty of other proof for the Flat Earth. It is not, by any means, even the most interesting, evident or important. Of course, as in 9/11, the hoax bombings, shootings and terrorist attacks, you either are open to seeing it or you’re not. Mind you, how many have dismissed these events as fake only to later have the fakery hit them and realizing they’d seen it the whole time and missed it or dismissed it? Generally speaking you seem to be watching flat earth videos and believing their claims. Unfortunately, I have yet to run into a claim that can stand up to scrutiny. One must insist on some hard data to make such great claims that the earth is flat. There is an abundance of evidence, like plane flights, to support a globe, regardless if you deny it. Unfortunately, I have yet to run into a claim that can stand up to scrutiny. As I said, pick up some binoculars and go somewhere you can see the horizon and look in the direction you prefer. Make sure you identify the vanishing point before you look again with the binoculars. If you still the horizon or if you see an object (building, for ex), then you can only be standing on a flat plane. Well, here’s some flight paths that are evidence that airplanes hit the buildings on 9/11. Shenanigans like the flights on 9/11 is a different subject all together. International flights prove a globe earth, and there are thousands of them a day. Do you have an example of a specific flight number whose timing doesn’t work on a globe? How are they any different? Has there been any reliable evidence of someone actually seeing those airplanes, apart from the graphics that were repeated over and over? Pictures in a computer are pictures in a computer whatever flight paths we try to analyse. Why confirm one as false and other as true? Is it because of flight reviews by supposed customers? How exactly do international flight prove a globe earth, khammad, would you care to explain exactly? Also, why are you trying to drag the subject to the be discussed in NASA’s globe terms? 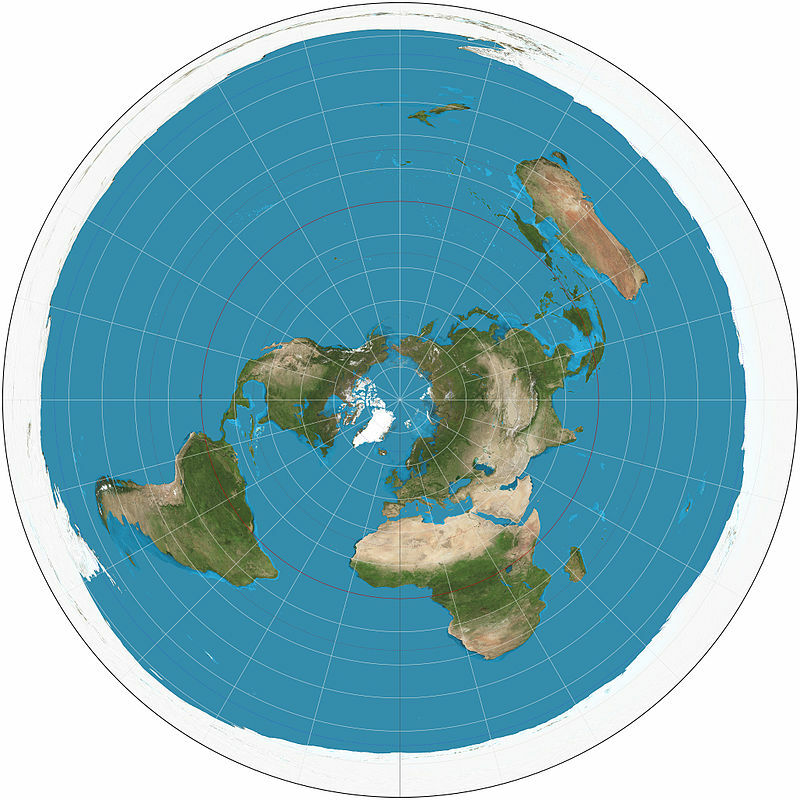 The globe earth map (Babinet projection) was produced to fit the traveled distances and still have a more or less spherical shape. You know what happened then, over time? The shape of the Earth had to be changed to an oblate-spheroid to account for the distance problems, especially in the south, and, when new distance discrepancies were creeping in due to modern traveling, finally changed to pear-shaped. But “The Song Remains the Same”: It’s a globe, NASA took pictures of it since the 60’s! Where’s the bulge and the pear bla-bla-bla? Of course I do. Do you have sightings that prove the globe? Do you see inclinations in the angles of far away fixed objects, such as buildings, or are they always straight up vertical? Because, you see, with the curvature, any degree of inclination would become immensely noticeable a few Kms away. And are you going to be using a calculator based on the wrong perspective premise? Your stance on the matter is one of denial of the flat Earth, not of proving globe Earth, which is fine by me, I have no interest whatsoever in “converting” you and am mostly using this debate of ours to benefit any future readers. It would be, however, far more constructive to actually go test your model against mine with observations. Or, at the very least, to present tested and applicable types of evidence, such as perspective – used for centuries in the production of incredible realistic paintings. Can you please explain to me why a drop of water turns into a “globe”? Also, 71 percent of our planet is made up of water. Why wouldn’t a little drop of water in space not be a “globe?” I’ve yet to see an explanation for this. Additionally, I am perplexed on how people who claim to be researchers have bought this flat earth story so easily. There should be doubt in your mind about the earth being flat, just as much as it being round. No one here can say for sure. While I lean towards the world being a globe like shape, I find it interesting why the planets, our moon, and sun are all a globe shape. Why would we be any different? According to those “globebusters” our space is a hologram. Come on! People can buy that, not that we are on a globe? Personally, the real SECRET that no one is talking about on this site is that we live in a binary system. There is a second sun to our sun. All the Ancient cultures spoke about our second sun. 80% of stars observed in space are in a binary system. So I am perplexed yet again, why the subject of our sun being in a binary isn’t of the most importance. Considering that it might explain a lot of the issues that we are having weather wise on earth. Remember, our planet is in a 25,000-26,000 cycle. According to ancient cultures: Aztecs, Egyptians, Indians, etc. Also, do you not question the flat earth model on the simple understanding that Obama mentioned flat earthers, tila tequila, and some other people who are questionable in the media? It seems odd to me that people have bought into this flat earth stuff. Whatever happened to be being objective. Oh my… is that the way you’re turning the subject towards, really? So, basically, in your postulation, we are in a rotating drop of water, floating or moving through space around a huge ball of fire? Because a rotating, high-speed moving drop of water, without anything to hold it together (a vacuum, in this case), would simply spread out. Centrifugal force would expand it horizontally (in relation to the rotation) and its movement around the sun would detach all its droplets and leave them behind, to continue their motion unchecked through inertia. Why? Don’t ask me, I’m just observing that it is flat, I can’t give you the justifications you’re looking for. I didn’t mention any holograms either, so I would recommend you take up Globebusters on that question and see what they have to say, as these are not my affirmations. A lot mixed up into a bundle in this paragraph of yours. First: I do think that there is a dark sun in the sky as well, maybe even more than one. However, without any observations made by me, I will not put forward a speculation, of course. Second: 80% of what stars observed where? The cartoons from NASA and its affiliates you mean? Other than that you will be able to see shining lights, but no actual suns. Third: Although I do have an opinion on the cycles of time, I will not respond to that part of your comment, given that it is only speculation and therefore not helpful to the subject. George W Bush also mentioned the “outrageous conspiracy theories” about 9/11, a subject for which the lackeys and shills were already in place, Alex Jones is the greatest example of this. Would you truly believe that for all this there weren’t “alternative” media people put in place ready to poison the well? Of course there are. Obama’s mention was actually pointing people to the Flat Earth Society, which puts forward ridiculous notions, just like George W Bush was pointing people towards Alex Jones, that still to this day claims airplanes did hit the towers. Objectivity is what allows you to navigate the high seas of fakery. However, that map is NOT proposed by any serious Flat Earth researcher to be the definitive map of the Flat Earth – nobody knows what the actual map is exactly like, that one is just a representation, because it is the one depicted in the UN flag, that’s all. I know they want this to be the map used and I know why – because it is a globe Earth map. I actually think it’s preferable not to use a map, since nobody knows how it’s like. That aside, this refutes nothing of the observations regarding the obvious: we are not on a ball, magically spinning on itself and then shooting across space around a ball of fire. The Earth is still and flattish, the Sun and Moon are close by (“close” as in relation to the official propositions). This is looking like target practice – instead of you people looking at what I bring, you try to bring more and more different arguments to refute it’s flat (not to prove it’s a globe). “Keep shooting!” – the voice said, true or not, the subconscious can’t really tell the difference. But I don’t enjoy being “shot” at, so how will we resolve this? Are you going to look at things or you’ve already made up your mind not to leave the comfort of the sphere? No, no, no. You see, Curious, the airplanes fly straight, but given relativity, they’re actually flying curved, you understand? Relativity means that you can walk in circles while walking straight ahead and never changing direction. Makes sense, doesn’t it? Einstein said it does, so he should know what he’s talking about, he’s a genius! Thank you so much for your answer. Went to see a psychiatrist. Told the story and now we are both of to a mental hospital for a treatment where we are given really good mind-altering drugs. Will become a “big ball” fan again. Thank you very much again for your kind answer, much appreciated. Einstein said it does, so he should know what he’s talking about, he’s a genius!